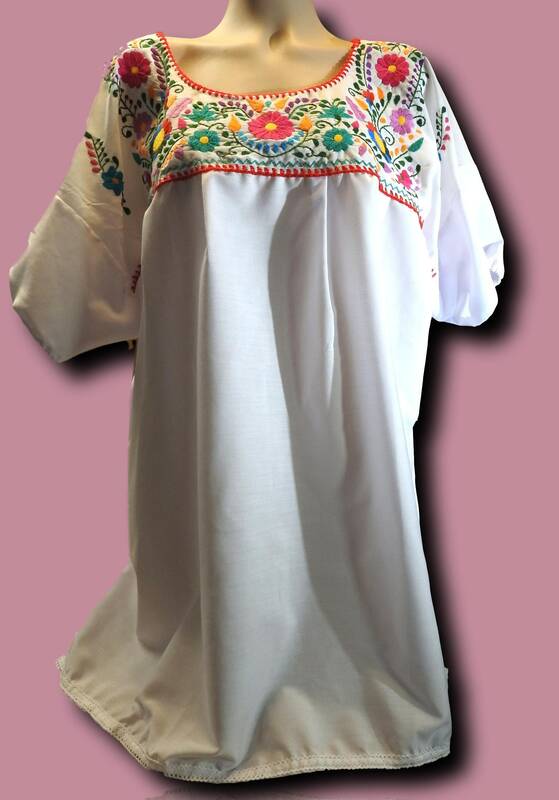 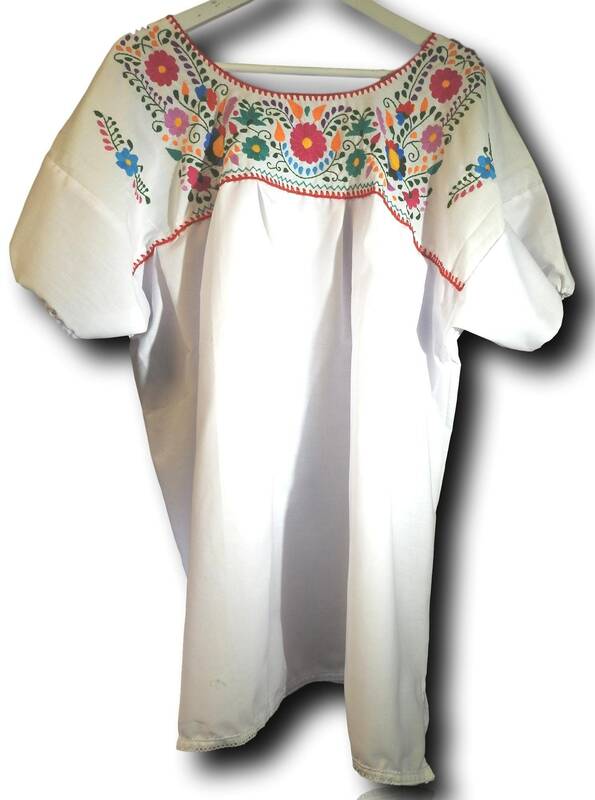 Be divine and boho chic in this sweet plus size Mexican blouse. 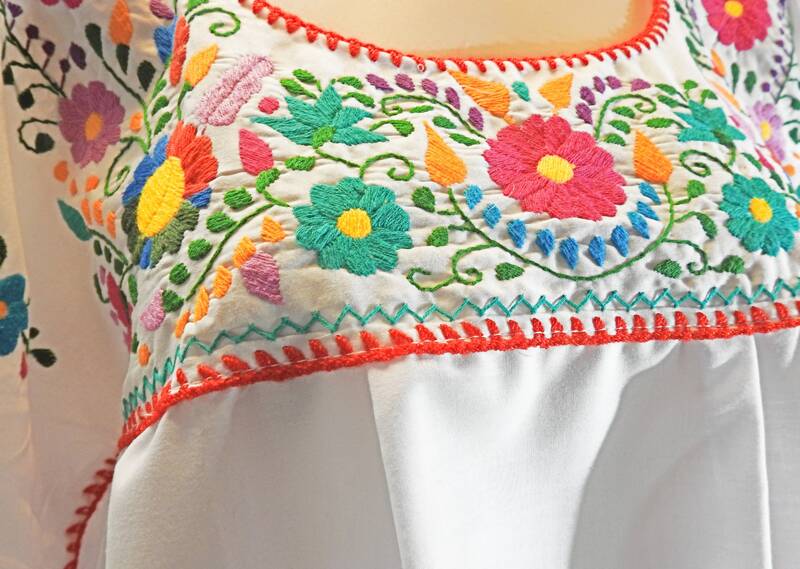 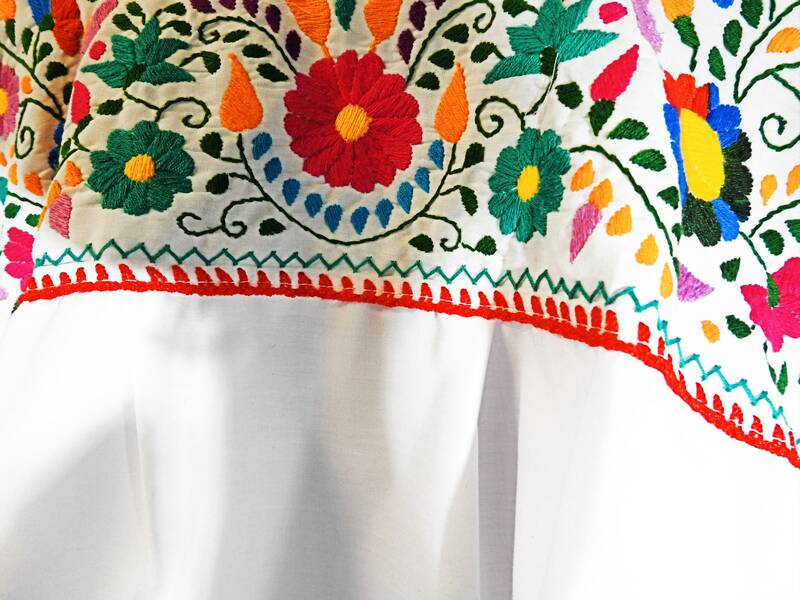 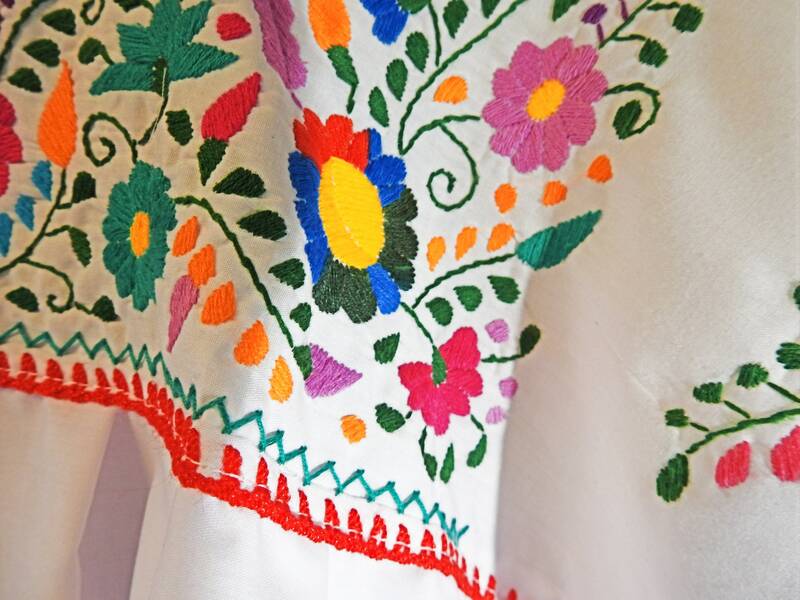 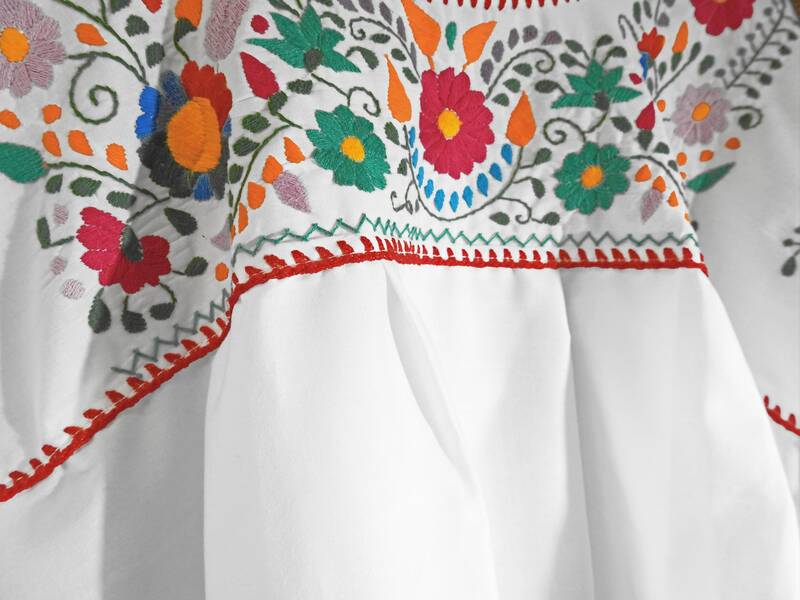 You will love this embroidered peasant top for its lovely and colorful embroidery. 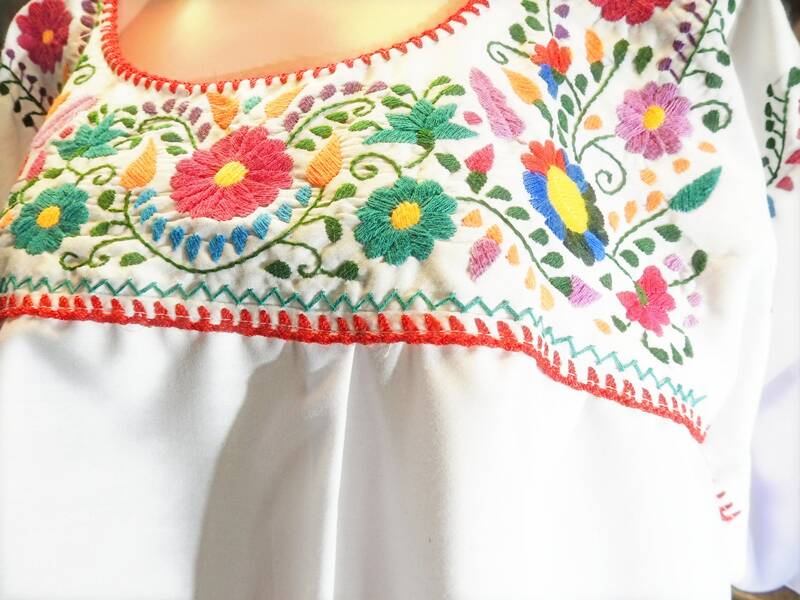 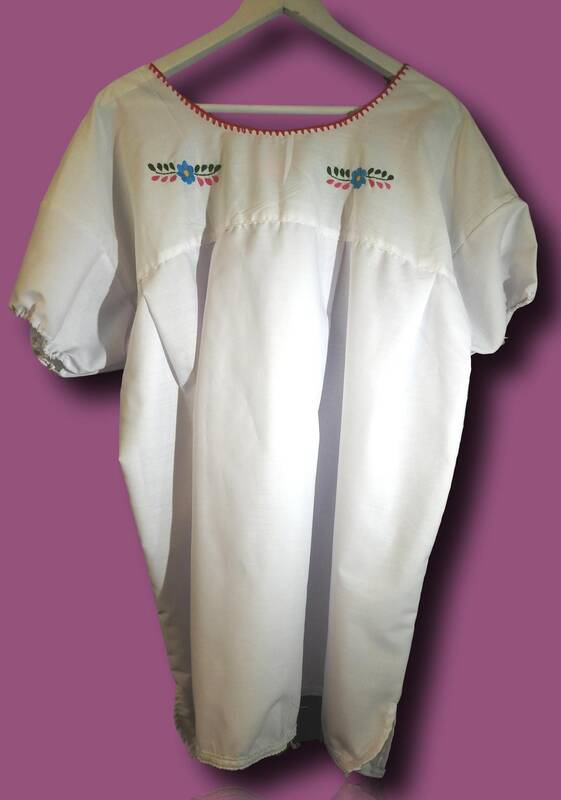 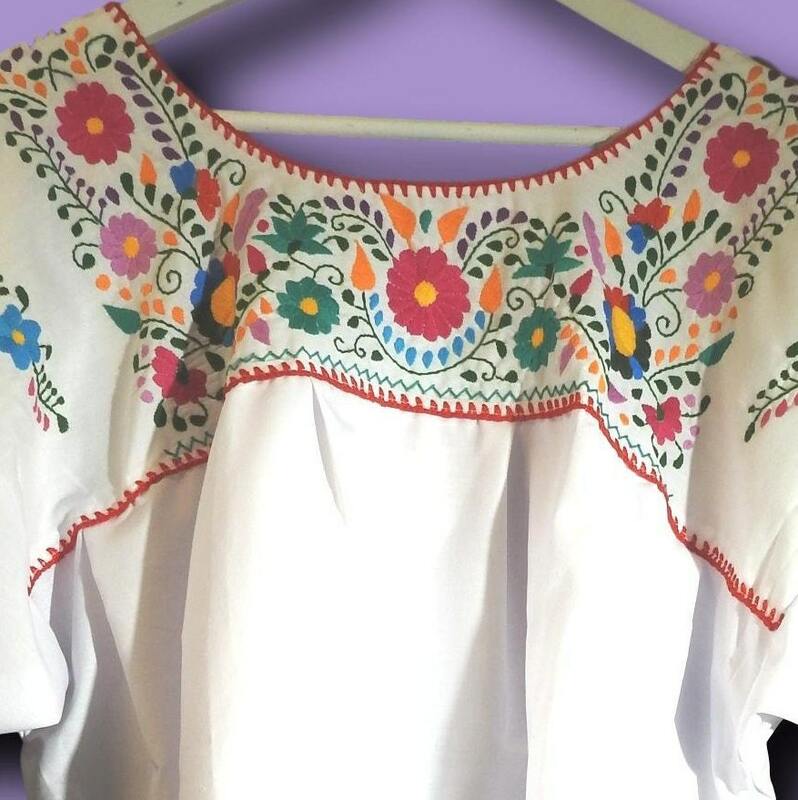 Thank you for exploring this darling white plus size Mexican style peasant top.